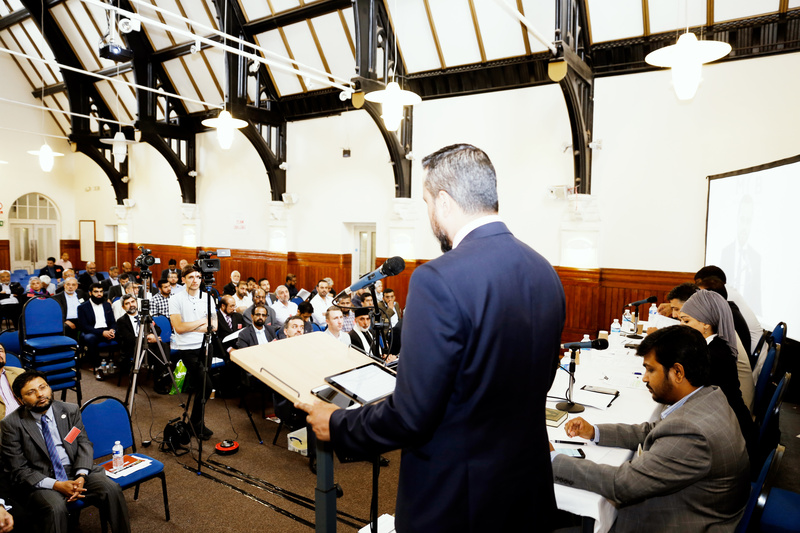 The Muslim Council of Britain held its twentieth Annual General Meeting on 15th July 2017 at the Muath Trust in Birmingham. The attendance comprised about 180 delegates of affiliates and observers, getting together for an opportunity to receive reports from office bearers, provide comments and seek further information on MCB’s work, as well as hear from distinguished speakers including Wadah Khanfar, formerly of the Al-Jazeera TV network and the grand mufti of Lithuania, Shaikh Ramadan Yaqoob. The programme included three workshops, running in parallel on themes of fostering, mosques and civic engagement respectively. 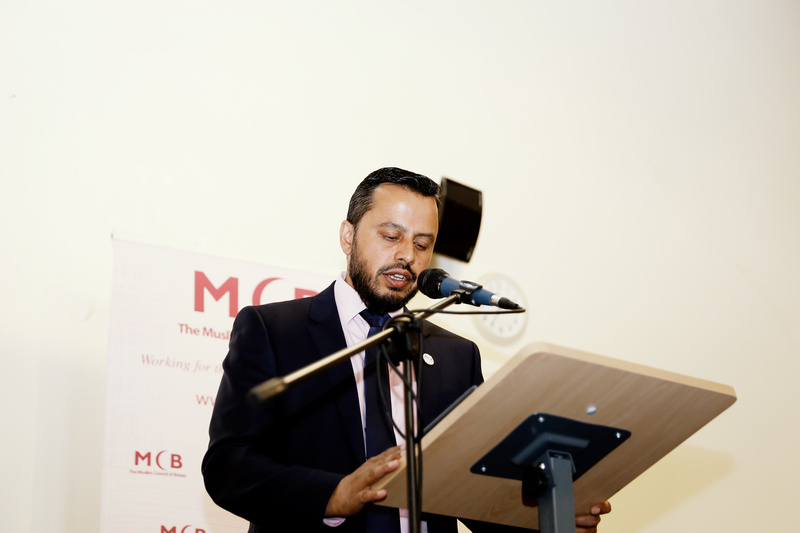 In his opening speech to delegates and guests, the Secretary General of the MCB, Harun Khan, said, “As I took on the leadership of this organisation last year, I did so with a community that continues to be defined by others through the narrow lens of terrorism… After the London Bridge attack, the Prime Minister made it clear that there were difficult conversations to be had in this regard. A conversation requires hearing and listening. Yet on terrorism as on so many other issues, British Muslims communities are often spoken to, but are hardly heard…policymakers and indeed the media must stop seeing British Muslims through the lens of terrorism”. He continued, “As a community we have the largest proportion of young people in the country. These are young people who already face numerous challenges on a daily basis whether it be financing their education or securing employment. We need to reach out, engage more and support our younger generations so that they can be a force for good as citizens for our country”. 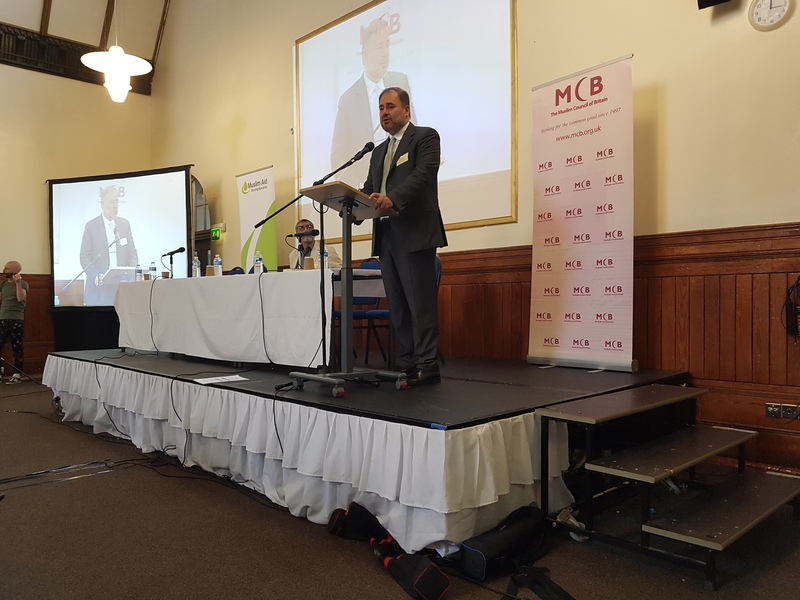 “While the work of the Muslim Council of Britain has been dominated by crises and fire-fighting (following the Grenfell fire tragedy), we have been proactive in forging a positive public space for our Muslim communities to thrive and engage with fellow Britons. Chief amongst these is our Visit My Mosque Day. Now in its third year, Visit My Mosque has become a feature in the British calendar in February. Indeed, dare I say it, it has become a great British institution. The response from the great British public has been heart-warming. Despite the significant voices of Islamophobia we face, ordinary British people have come together to break down barriers and learn from one another. Our mosques are the great bedrock of our Muslim communities. By facilitating a national day for mosques, we have learned that our mosques have huge potential that must be unlocked. That is why it is crucial for us to support our mosques, to enable them to be relevant not only to their communities, but especially the young, women and indeed to non-Muslim neighbours as well. As such, I am looking forward to welcoming representatives from our masajid to participate in a special mosque conference later this year”. This session was chaired by Dr Haseena Lockhat who works for the NHS as a Consultant Child and Adolescent Clinical Psychologist, also serving on a number of high profile Government Boards and Committees, including the Home Office Community Cohesion and Race Equality Advisory Panels, where she has lead on various projects around inequality and race relations. She has been a Home Secretary Appointee to the National Probation Service and Governor at the University of Worcester. The first keynote speech for the day was delivered by former Director General of Al Jazeera TV Network and co-founder of The Sharq Forum, Wadah Khanfar, who spoke on the ‘geopolitical strategic perspective of the challenges and opportunities confronting the Muslim world, including references to the role of Muslim minorities in the West’. He noted the “strategic vacuum after the demise of the khilafa” though there have been attempts to preserve some continuity – through institutions such as the GCC and OIC. He considered that there has been a crisis within nation states: lack of legitimacy and weakness of structures. Reflecting on current tensions, “betwe en Iran on the one hand and Turkey/Saudi Arabia”, he noted the need for “rational actors to agree on a process”, because there was winner in the current impasse. He lamented how “sectarian language has become a killing machine” – the need was for the ‘rational actors’ to revert to the concept of national interest rather than sectarianism. In his concluding remarks, Wadah highlighted the speed of social change and the importance of Muslims to face the future bravely with hope, preserving their core values, coping with scientific and technological change, and also forming alliances with sections of society that respect diversity and difference. A subsequent speaker, Neil Jameson CBE, Executive Director of Citizens UK, picked up Wadah’s theme of cooperation and collaboration, an aspect featuring in the recently published report of the Citizens Commission on Islam, Participation & Public Life, ‘The Missing Muslims: Unlocking British Muslim Potential for the Benefit of All’ . Neil called on the MCB and Muslim civil society to ensure that the report’s recommendations are followed through. These include, for example, the need for Muslim umbrella bodies to introduce voluntary standards for mosques and Islamic centres, with particular stress on participation of women in decision making, and access, and for mosques to invest in British-born imams who are to be paid a decent living wage. The Commissioners also advised Government to convene an independent review of Prevent, and consider the appointment of a Prevent Ombudsman and for local employers to commit to name- and address- blind job applications. MCB’s efforts in organising the Visit My Mosque day was commended. There were three breakout sessions for workshops, which looked into various issues that require further discussion, such as fostering, Mosques in Britain, as well as Muslim community coordination in the West Midlands. Research Fellow in Faith and Peaceful Relations, Centre for Trust, Peace and Social Relations (CTPSR), Coventry University; Shadim Hussein (Mercy Mission) and George Gabriel (Safe Passage, Citizens UK). The aim of the workshop was to facilitate a discussion of practitioners and increase awareness of fostering within Muslim audiences, as well as focus on the need for action by mosques and other institutions to help unaccompanied asylum seeking children. The workshop audience included the heads and representatives of Muslim charities with projects in this field and thus served as a forum for exchanging information. The discussion highlighted the dire need for foster carers and the challenges faced in finding homes for young Muslim adolescents. George Gabriel made a passionate plea for action to help UACs. He provided details of the shocking plight of children in Calais with numbers arriving there continuing to grow. George provided statistics: 30,000 unaccompanied children had arrived in Europe last year, with about 1,000 now in the UK through the processes provided by Safe Passage. As follow up work, the MCB toolkit is drafting a ‘Welcoming Refugees’ document in cooperation with Safe Passage. The aim of the guide is to support the Muslim community in making positive contributions through practical steps to the lives of refugees who are being resettled in the UK (for further details contact Hassan Joudi via [email protected]). Workshop 2: Mosques in Britain: chaired by Shaykh Ibrahim Mogra, MCB and Hassan Joudi, MCB VisitMyMosque coordinator. The themes were two-fold: to discuss the means for following the recommendations relating to mosques made by the Citizens Commission on Islam, Participation & Public Life; to reflect on this question: In 2017, what does a delivery body for mosque voluntary standards need to look like? Information was also provided on a forthcoming one-day conference ‘Our Mosques, Our Future’ (ourmosques.mcb.org.uk), that MCB is planning for January 2018. Its objectives are to offer a forum for a frank discussion on the major challenges and opportunities facing mosques in Britain today, sharing best practice among mosques to create a platform for positive change in 2018 (for further details contact Haleema Akhtar [email protected]). Workshop 3: Muslim community coordination in the West Midlands, facilitated by Saidul Haque Saeed is a Senior Organiser for Citizens UK in Birmingham. He began with a quiz to test participants’ knowledge of the ‘power structures and networks’ in West Midlands, both in the political and civil society domain. Benefitting from his extensive experience in building civil society alliances, there was an in-depth discussion on the role of the MCB in this context. 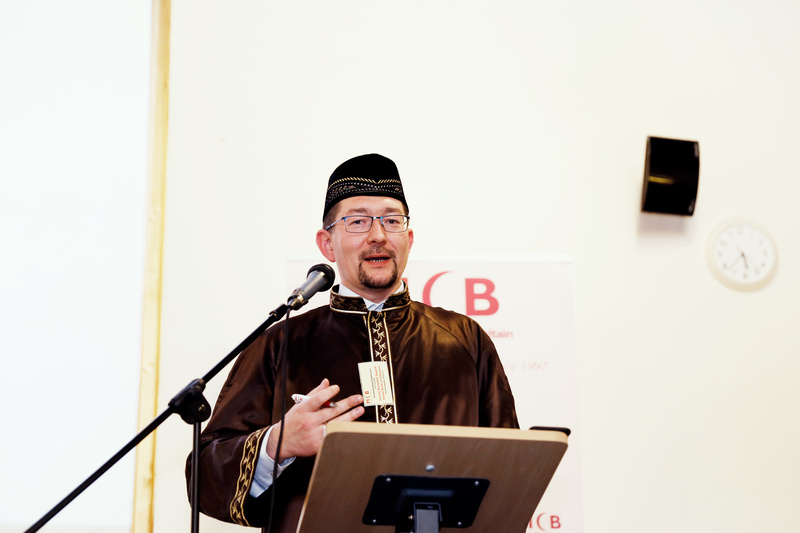 The final keynote speech was given by the Grand Mufti of Lithuania, Shaikh Ramad an Yaqoob, who provided perspectives of Lithuanian Muslim society, mainly descendents of Tartars exiled from the Crimea. In a moving address, he described the suppression of religion during the Soviet period, when “all the religious leaders and people of any knowledge were either killed or sent into exile into the farthest reaches of Siberia. Books and archives were burnt. Mosques were closed and destroyed. Communities were closed. Islam was forbidden.” He also noted how international events today can adversely affect his small community of 3,000 in the Baltic, and also the tensions caused when Muslim visitors from afar felt qualified to offer them advice on the practice of religion. The event concluded with a session dedicated to commemorate Srebrenica and an Eid reception – an opportunity for delegates and guests to share and celebrate together in unity.